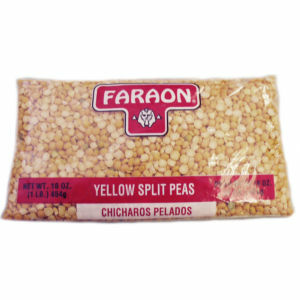 If you love peas, then Faraon Yellow Split peas are for you. These bright yellow Pacific North West peas cook absolutely delicious. By simply adding your favorite spices , these peas make a great vegetarian dish. Or you may add pork hocks or any type of your favorite meat and you end up with a very satisfying meal. Faraon Quality is in every package.